Rüsen, Jörn: The End of Man? Carretero, Mario: “Reconquest” – Historical Narrative or Xenophobic View? Arendes, Cord: Are Public Historians “Missionaries”? Siebörger, Rob: Groot Constantia: Wine or Slaves? Sharp, Heather: The Australian Experience: Peak Commemoration? Landwehr, Achim: Why Public History? Gautschi, Peter: Gamification as a Miracle Cure for Public History? Sheehan, Mark: Difficult Histories: Optional or Essential? Retz, Tyson: Against Empathy in History? Kühberger, Christoph: History Textbooks – what and whom are they for? Ruchniewicz, Krzysztof: Yet Another Memorial in Berlin? Martin, Daisy: Public History in Schools? Why and How? Wojdon, Joanna: Who Owns the Museum Narrative? Green, Alix: Prizing Public History? Rüsen, Jörn: Nationality – Dead or Alive? 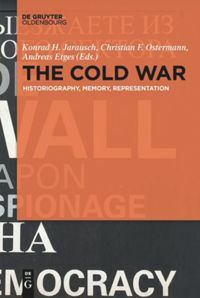 Khodnev, Alexander S.: Public History in Russia: What Is It? Landwehr, Achim: In Search of the Lost Self – “Heimat” as Public History? Bühl-Gramer, Charlotte: Can Architecture Embody Good and Evil? Parkes, Robert: Are Monuments History? Noiret, Serge: Public History, A Necessity in Today’s European Union? Gautschi, Peter: National Day at School? Fink, Nadine: Teaching History in Order to Develop Critical Thinking? Ruchniewicz, Krzysztof: Unfortunate Choice of Words – or Is There More Behind It? Heuer, Christian: “Whitewater Canoeists” or “Rule Applying Automats”? Gautschi, Peter: How Should The History of One’s Own Country Be Taught? Arendes, Cord: Do we need “Dark Public History“? Lévesque, Stéphane: Should History Promote National Identification? 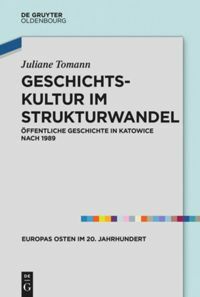 Rüsen, Jörn: Racism – A Killing Argument in Cultural Studies? Körber, Andreas: A Guarantee for Disciplinary Inclusive Education? Green, Alix: Keywording the Field: From Popular to Public History? John, Anke: Monuments: Disputed, Transient, increasingly Utopian? Memminger, Josef: The Downfall?! Can History Teaching Still Be Saved? Wojdon, Joanna: Do We Need Public History Study Programs? Hellmuth, Thomas: Right-Wing Populism as the New Mainstream? Noiret, Serge: A Museum of Fascism where Mussolini Was Born and Buried? Gautschi, Peter: “Reenactment” – Dangerous Fun? Ruchniewicz, Krzysztof: The End of the Grand Narrative in Poland? Arendes, Cord: Successful Public History – A Question of Empirical Evidence? Chapman, Arthur: On the Grammars of School History: Who Whom? Gautschi, Peter: A Museum for Every School! Bernhardt, Markus: Back to Nationalism. No Future for History? Martin, Daisy: What is a “worthy” test for History? Arendes, Cord: Who We Are: Public Historians as Multiple Personalities? Khodnev, Alexander S.: The Colosseum! What else left over from history education? Kühberger, Christoph: The Ethics of History – Just Nice To Have? Hellmuth, Thomas: About Competences, or – instead – how about Education? Pandel, Hans-Jürgen: Theory of History Knowledge: Poor. Bernhardt, Markus: Bilingual History classes (CLIL) – no, thanks! Ruchniewicz, Krzysztof: Why We Still Need Textbook Commissions? Lévesque, Stéphane: Why Historical Narrative Matters? Hellmuth, Thomas: Populism: A political combat term? Fenn, Monika: Studying history without linguistic competences and reading competence? Carretero, Mario: Lenin and Marx as Symbols of Liberation? 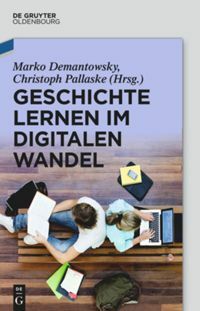 Demantowsky, Marko: “Public History” – Sublation of a German Debate? Alavi, Bettina: “Unification is a jackpot” – in South Korea! Thünemann, Holger: Do curricula inspire historical thinking? Siebörger, Rob: What heritage day? Sauer, Michael: The science of history turns – even in school? Martin, Daisy: Teaching Historical Thinking: Dilemmas not Dichotomies! Parkes, Robert: Big History: Can life go on without a meta-narrative? Kühberger, Christoph: “Race” — a necessary category? Hellmuth, Thomas: Thinking about Competency-oriented Learning. New Realism or ‘Old’ Pragmatics? Gautschi, Peter: Der Einbürgerungstest. Geschichte als Eintrittskarte? Pallaske, Christoph: Sprachverwirrung. Was ist ein geschichtsdidaktisches Medium? Kühberger, Christoph: Subjektorientierung. Können Lernende selbstständig historisch denken? Gautschi, Peter: Lehrplanentwicklung: Kill your darlings? Bühl-Gramer, Charlotte: Olympia-Eröffnungen. Ein historisches Wunderland? Bernhardt, Markus: Der „späte Sieg der Diktaturen“ – Resultat ergebnisoffenen Unterrichts? Barricelli, Michele: Fide, sed cui, vide. Wie “wahr” kann Geschichte sein? Thünemann, Holger: Farewell to Historical Consciousness? Sauer, Michael: “Sinnbildung über Zeiterfahrung” – eine Leerformel? Sauerländer, Dominik: Antiziganismus. Was können wir tun? Hellmuth, Thomas: Trachten heute – mehr als ein modischer Spleen? Furrer, Markus: “Die Schweizer”. Welches Geschichtsbild braucht die Willensnation? Handro, Saskia: Sprachlos im Geschichtsunterricht? Schlutow, Martin: Bilingualer Geschichtsunterricht. Ein Puzzle, das nicht passt? Thünemann, Holger: Mehr Denkmäler – weniger Gedenken? Gautschi, Peter: Vorbilder aus der Geschichte? Fenn, Monika: 200 Jahre Völkerschlacht – Was bleibt nach der Eventisierung? Alavi, Bettina: Inklusion und Geschichtswettbewerb – Barrierefreier Geschichtswettbewerb?